At Bravr, we take our work very seriously and do our best to help those in need. 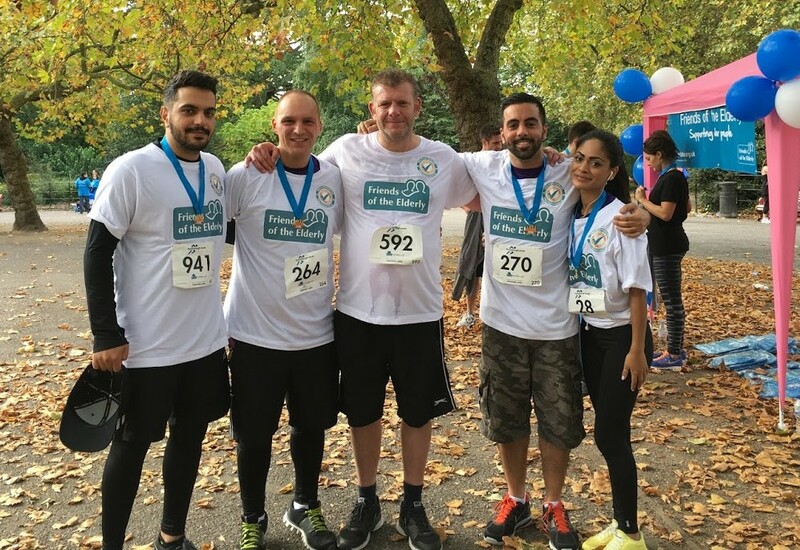 Last year the team took part in a 5k run in support of Friends of the Elderly and we continually look to support worthy causes. When a team member went to Cambodia in October with an educational charity, Edukid, we decided we needed to help. Edukid is a UK-based charity that helps children growing up in poverty to access education. The small charity supports 2,000 children in Uganda and Cambodia. In Uganda, Edukid supports former child-soldiers, child-led families, and children growing up in chronic poverty. The organisation pays children’s school fees, provides them with uniform and the equipment they need for school, as well as a Ugandan social worker to support the children. Once the children have left school, Edukid offers vocational training and often gives students small business loans when they qualify, to enable them to set up on their own. In Cambodia, school is free but many children are unable to go to school because their parents can’t afford the compulsory uniform and resources. Since the genocide of the 1970s, when around 2 million Khmer people were killed, there is a shortage of teachers, so children that can afford to go to school are only able to go for half a day. Edukid supplies each child with a tailored uniform and backpack with the equipment they need, pays Khmer support staff to oversee the children’s welfare, and trains and pays a teacher in each project to provide additional teaching outside of the government school provision. When we heard about the work that Edukid does, the whole Bravr team wanted to help. Renowned for our great imagination and creativity, we are busy coming up with good ways of supporting the charity, but as a team, we also decided that we would like to do something long-term, the benefits of which will be felt for years to come. So we would like to introduce you to the latest member of team Bravr, 15 year old Pich, who is being sponsored by the team so that he can continue to go to school. We are really pleased to be part of this exciting project and hope that our support will encourage Pich to stay at school, and help him to build a brighter future for himself and those around him. Adilla, who visited Cambodia with Edukid last year says: “I am so touched and excited that the whole team wants to get involved with helping to support a child in this beautiful country. During the Khmer Rouge, about a third of the population was tortured, murdered, or starved to death. Many of those were lecturers, teachers and medical professionals; it got to the point where people were executed for being able to read or write, or just for wearing glasses, because it made them look intellectual. In my time in Cambodia I saw how this terrible past still scars the people who live there, but how they are so desperate to stand on their own feet, once again. As well as helping children in poverty to access an education, Edukid provides learning resources to schools in the UK, to help our children to get a better understanding of life in other countries. Adilla’s daughter, Alice, wrote a blog while in Cambodia. You can read it here. At Bravr, we are thrilled to be part of something so meaningful and that has such a big impact on the lives of others. Who knows? Maybe, 6,200 miles away, there is a future digital marketing expert in the making!